Beyond my Tree…or is it? I just went thru all my genealogy related books on my bookshelf…just a couple days ago. I wanted a good friend of mine to see what I had available in case she wanted to ever borrow them. Tucked into this big shelf of books is one I remember buying, but haven’t opened even once since I got it. It’s called, “Beyond the Family Tree”, by Jennifer Worick. It’s really a cool book…full of questions to ask during a genealogy interview or just great conversation starters with friends and family. One of the sections in it really caught my eye this morning. The section is called “Hopes and Dreams”. 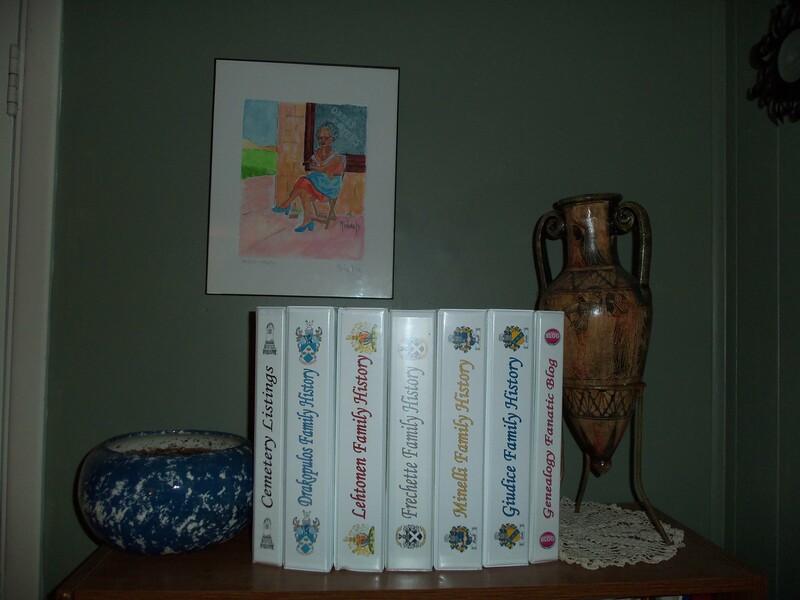 I thought it might be fun to try to answer some of these questions myself in relation to my own genealogy quest in my family. Some of them were pretty easy…some made me think a bit…Things like…. What family mementos or heirlooms do you most treasure? If your home were on fire, what three things would you grab (assuming your family and pets got out already)? But the one that stopped my eyes immediately was…. “Have you ever experienced anything you couldn’t explain?”…BOY HAVE I!!! The first thing that came to mind was Oak Hill Cemetery in Hammond, Indiana. I’ve been going there for several years looking for the unmarked grave of my mom’s brother, Jimmy. Jimmy died of Rheumatic Fever, in 1939, when he was almost 9 years old. The family lived on the South Side of Chicago and buried him at Oak Hill (about a 20 minute drive away). My grandmother’s parents were already buried at Oak Hill, so it was only natural that Jimmy was buried there, too. I also have found out that my grandmother had a little brother named Leo that died in 1916 of Diphtheria and he’s also buried somewhere at Oak Hill (I haven’t found him yet). On what seemed like the millionth trip to Hammond I decided to approach the search for Jimmy in a little different way. Thanks to Facebook I had found a group dedicated to getting Oak Hill Cemetery restored to its former beauty and met a wonderful lady named Kara who was spearheading this restoration. 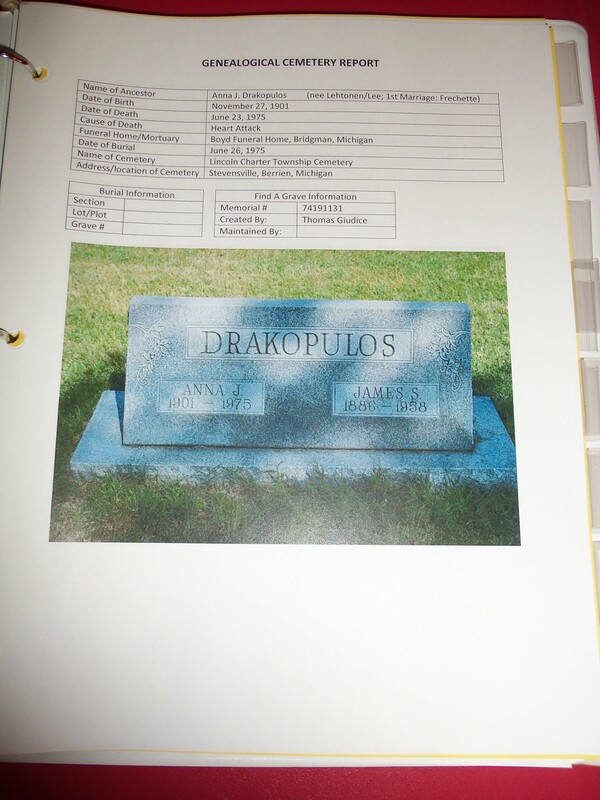 Kara was able to get access to all the cemetery records and maps and helped me locate Jimmy’s grave on the maps. Now all I had to do was get back to Hammond and find him. Sounds pretty easy, huh? Hardly! It took me 3 additional trips into Hammond to find him. Little pieces of the puzzle fell in to place each time I went. It was like I wasn’t supposed to find him yet. It’s hard to explain…it all kind of worked out, so I never really questioned it until the day I found his grave. But I’m getting ahead of myself. 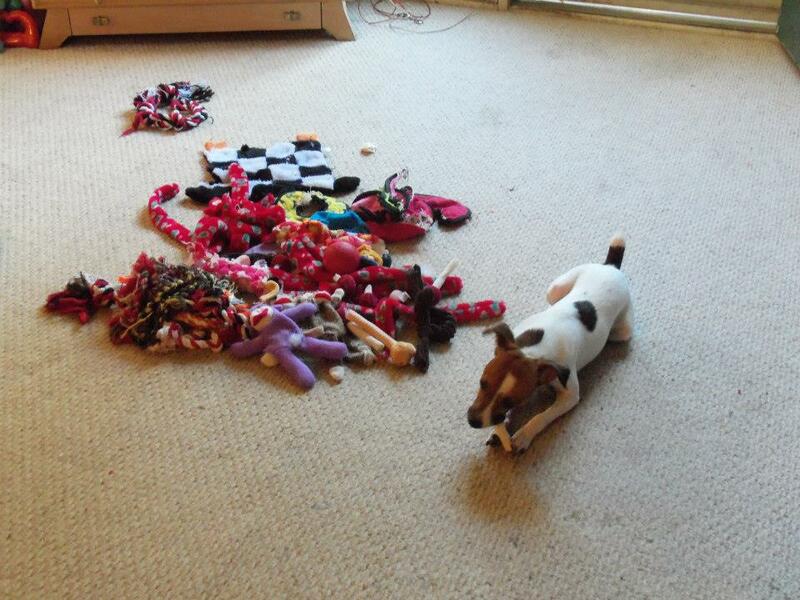 Let me back up a bit…. 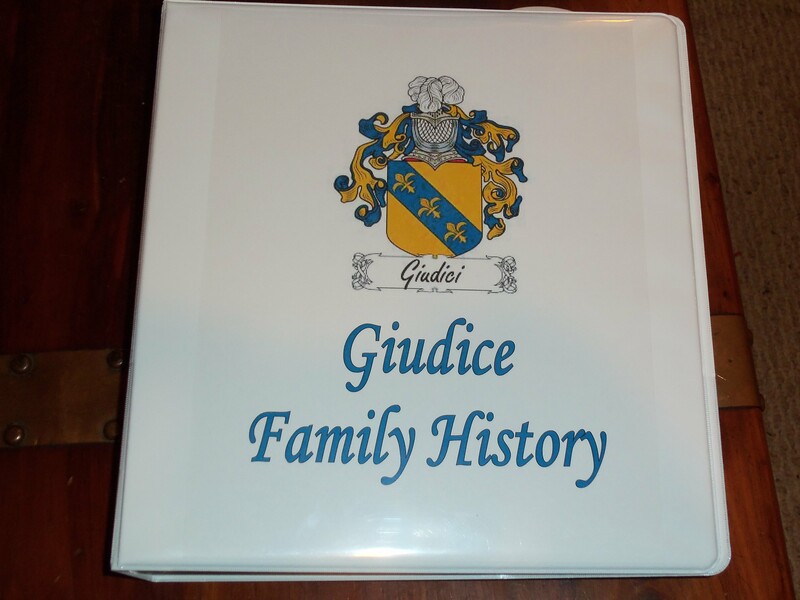 Doing genealogy you always look for dates and a lot of people think that’s the most important part…and it is VERY important information, but I’m also a stickler for getting more. Dates, locations, names, neighbors, etc. I collect anything that MIGHT help in the future. So these maps of Oak Hill were like a gold mine for me. I poured over them for hours at a time. It wasn’t easy finding Jimmy on the maps…there are pages and pages of them. All with little squares with names in them. Finally I found Jimmy! His grave was on the top of a page. I hadn’t been looking for anything except his name so I really wasn’t READING everything, just scanning them. With a name like James Drakopulos it kind of jumps out at you when you find it. It’s not like looking for John Smith. I noted the names on the graves around him on that page and saw that several of those graves had headstones so I figured it wouldn’t be too difficult. But what I had to remember is that this little map was just one page in a HUGE map! A map that covers the entire 21 sections of Oak Hill Cemetery. There are thousands upon thousands of graves there. This could take time. And it did. I got frustrated several times…and walked many, many hours on the grounds at Oak Hill. At least I was able to find other family members graves that I knew were there but wasn’t really looking for. On my 3rd trip to Oak Hill I ended giving up because of a storm and vowed to come back again. I left the cemetery feeling defeated yet again. I planned to return again in a few months but I needed to do my homework before I went. So I printed off all the maps of Section 20, where Jimmy was buried. I taped them together and matched up the rows and rows of graves in this section…..IT WAS HUGE!! How was I ever going to find him? With determination…that was what I decided. 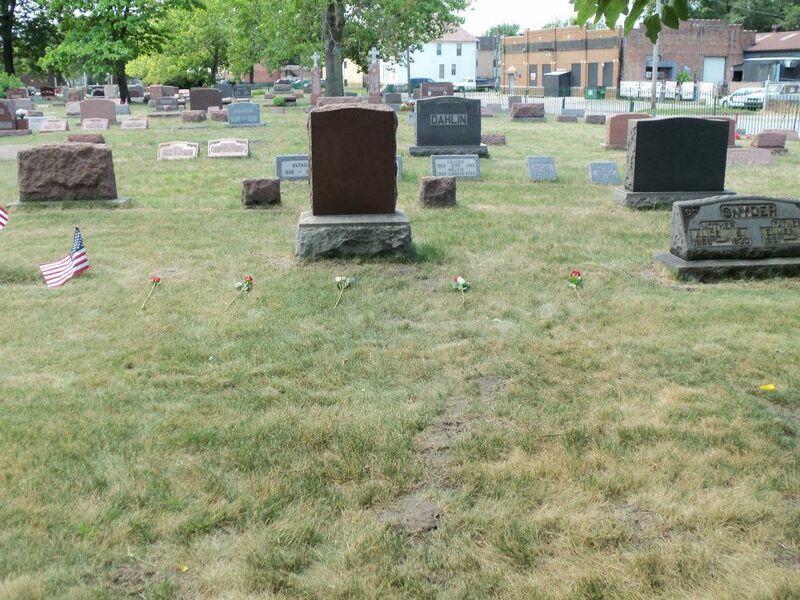 So I kept taping the rows together and then I noticed something…Jimmy’s grave was part of a FAMILY PLOT! OMG!!! 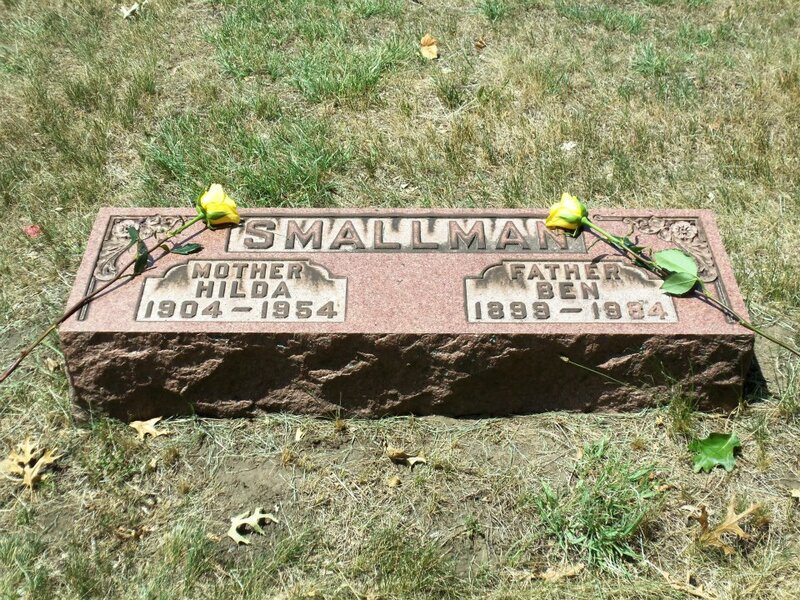 My Great Grandparents and my grandmothers older brother were buried in the same place as Jimmy! 5 graves all part of the same family plot. Jimmy’s grave was the southern most plot, then my Great Grandfather Charles, then Great Uncle Carl, then my Great Grandmother Ida, and then what appears to be an empty grave (Although I’m still not convinced its empty…that’s another trip to Oak Hill in the near future). With this new information I decided to plan another trip to Hammond. This might be easy for some people but Oak Hill Cemetery is 500 miles from home for me…so it takes a bit of planning. 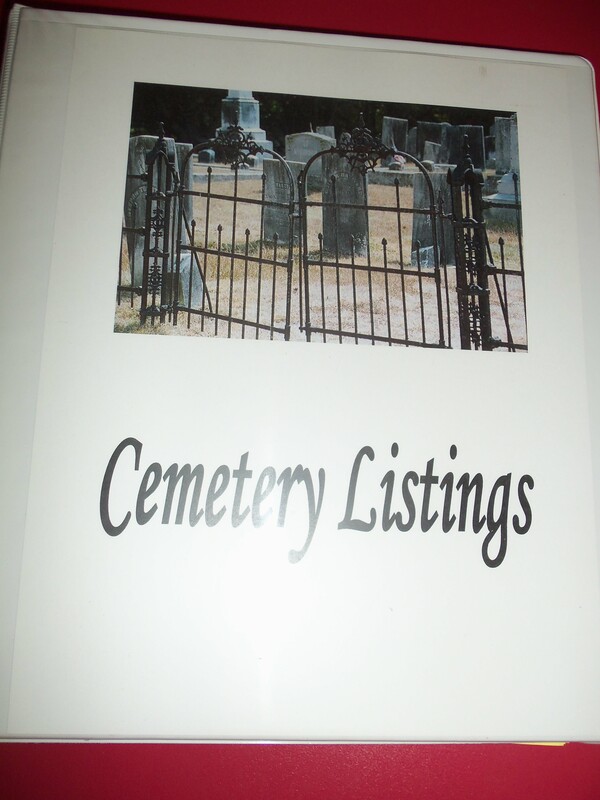 I couldn’t wait…I had the maps…I knew they were all together…and I knew the names of the headstones around them. So off to Oak Hill I traveled. I bought some roses on my way there…I just knew I was going to find them this time. I could feel it. It was like I was being pulled back to them. I bought 5 red roses and 2 yellow ones. The yellow ones were for my grandmothers sister Hilda and her husband Ben, who were buried in the adjoining section of Oak Hill with a large flat headstone…I knew I’d find them easily…they were only a couple rows off the main driveway into Oak Hill. And sure enough I did…I found Aunt Hilda and Uncle Ben in a matter of a few seconds…I walked right to their graves. I cleaned off their headstone and placed the 2 roses on it. I felt a silent victory with this find. Of course I took a photo of the headstone for my research…and I quietly asked them to help me find Jimmy. I sat there for a few minutes and then decided to move on to Section 20…it was just to the east of their section. I got into my car and drove down the driveway…I stopped the car, shut it off, and sat there…it didn’t feel right, so I started the car again, and drove down about another 50 feet…and stopped again. Much better (I actually said it out loud). I grabbed my map and got out of the car. I was parked by a big tree with rows and rows of graves next to me….I walked down about 5 graves from the fence and stopped…I needed to figure out where I was. I looked at a headstone that was next to me and I couldn’t believe my eyes….It said Snyder on it…I remembered that name from the maps! I was actually standing right next to family plot! I had walked right to the 5 graves…I double and triple checked the map and I just sat on the ground and stared at them. All I could say was “I found you!”. I sat there for a long time…I put the roses on their graves…and I talked to each of them…introducing myself to them. Eventually I would go to the Township Trustees office and request help getting copies of the cemetery cards for each of my relatives, but for that moment I just sat there. I went and got lunch at the local White Castle and took it back to the cemetery…where I ate lunch with my new found relatives. People in the cemetery looked at me like I was strange sitting on a blanket with White Castle burgers and fries spread out in front of 5 roses laying on the ground. I can’t explain why I was able to walk directly to those 5 graves that day (July 11, 2012). I can’t explain why I hadn’t found them in one of my previous trips….I had walked past their graves many times before. And I can’t explain why I felt so compelled to talk to them (I don’t normally sit and talk to graves in cemeteries). But at that moment it felt right and I felt like another missing part of my family had been brought home. So if I had to answer that one question in this book I guess it would have to be with this story. It is the most unexplained situation I can think of. I still don’t understand why on that trip I was able to walk right to their graves without having to search at all. It all felt right. I have friends that explain it with the fact that I had done so much research with the maps, that I knew where I was going. I have another friend that says my relatives led me there…maybe they wanted to meet me, too. All I know is that this was the one thing that my mom talked to me about many, many times before she died. She wanted to find her brother Jimmy’s grave and have a headstone put there. And I’m working on that now. My cousin has a headstone from his fathers grave that we can use…his parents now have a double headstone. I just have to get it engraved for Jimmy…and get it placed on his grave. So I’m getting closer. I just wish my mom could’ve been there to actually stand in front of Jimmy’s grave and put the rose there herself.